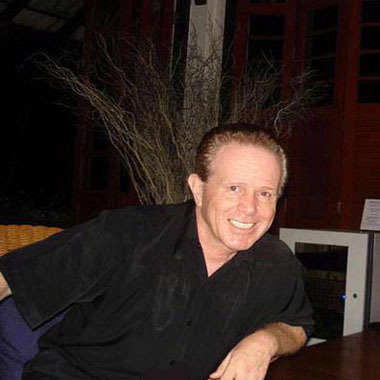 Jimmy Cicero is an award winning American smooth jazz pianist, vocalist and composer noted for his sophisticated Jazz vocals and piano arrangements. He has toured and performed around the world with Santana, Chuck Berry, Rick Nelson, and other icons. Three of Jimmy's songs were featured in “The Florentine” (Francis Ford Coppola), and in several other major films. He currently resides in Bangkok and performs in both Bangkok and the exotic Phuket. While Jimmy has a diverse style of composing, from Jazz to Classical, each song is memorable and carries his unique identity.